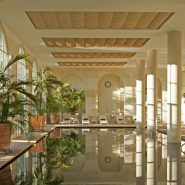 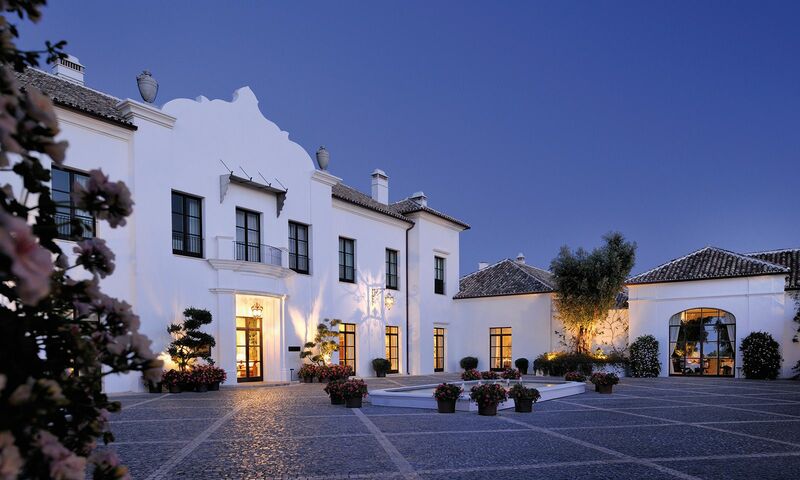 Owners are able to benefit from the same services as our world class hotel. 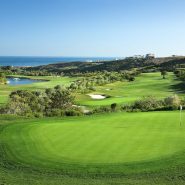 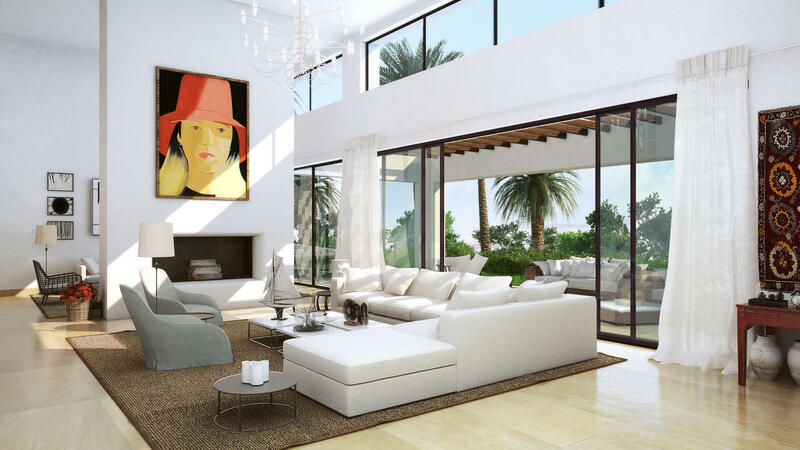 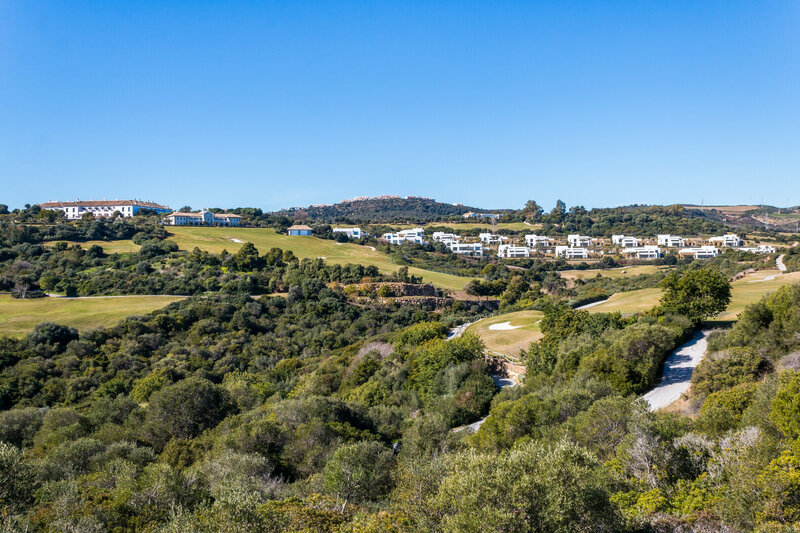 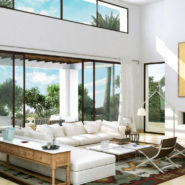 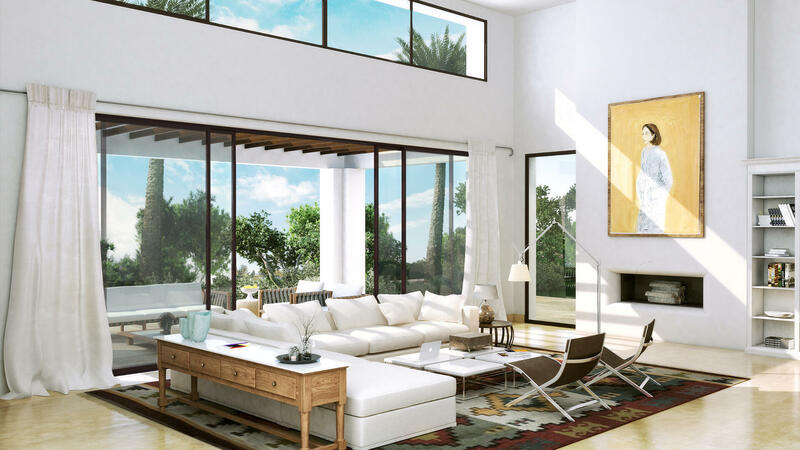 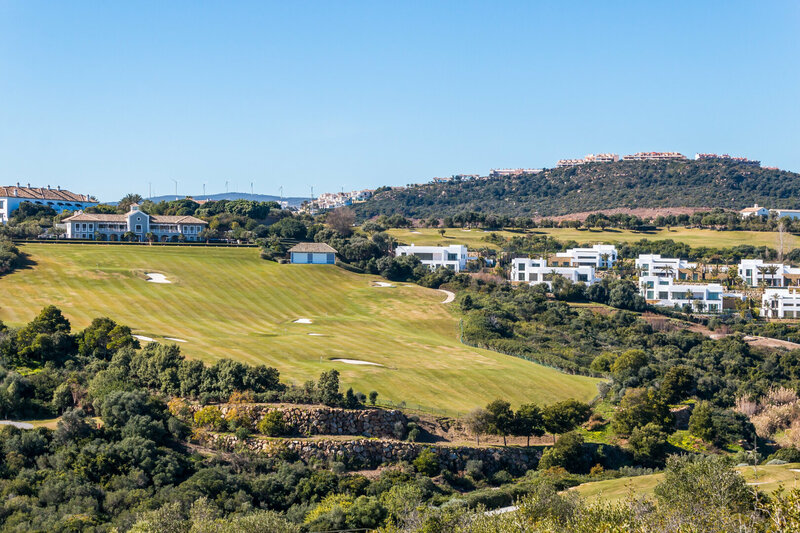 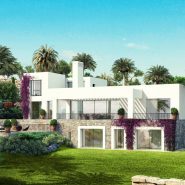 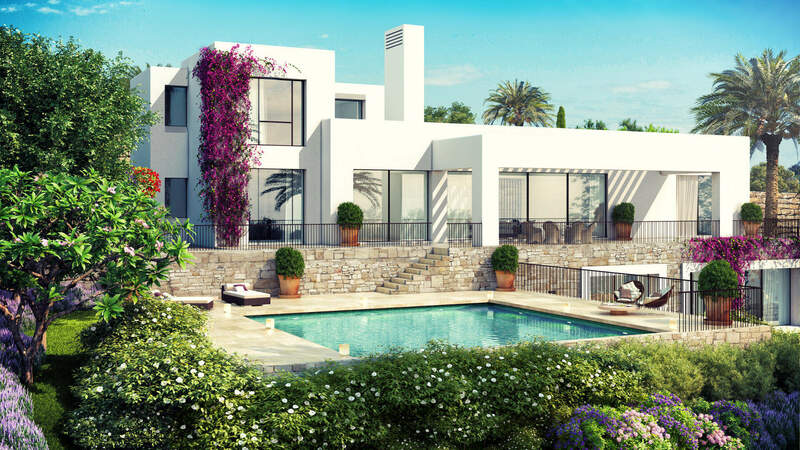 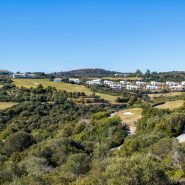 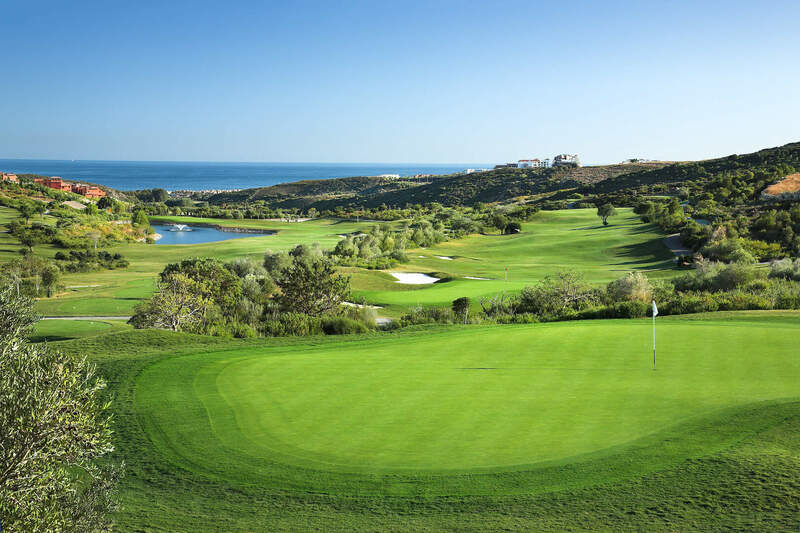 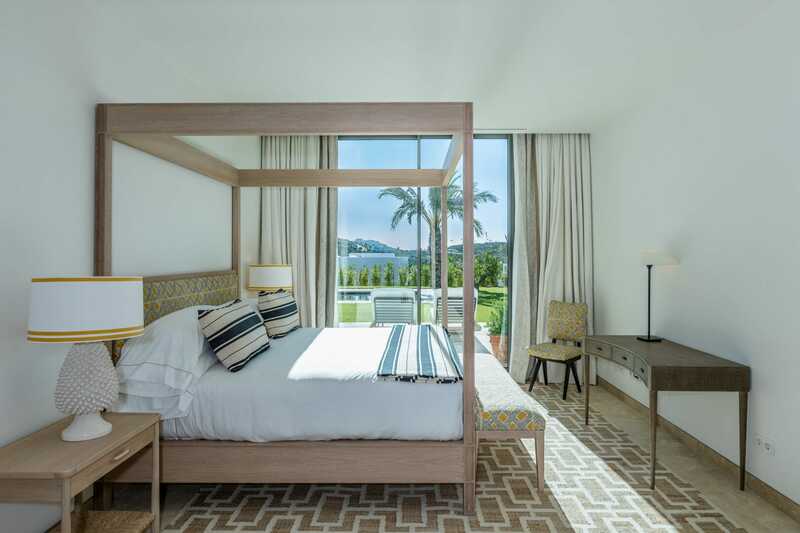 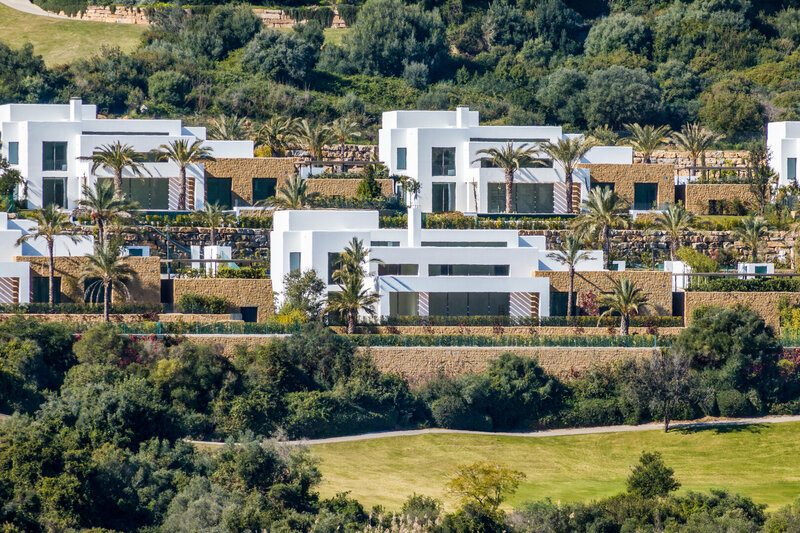 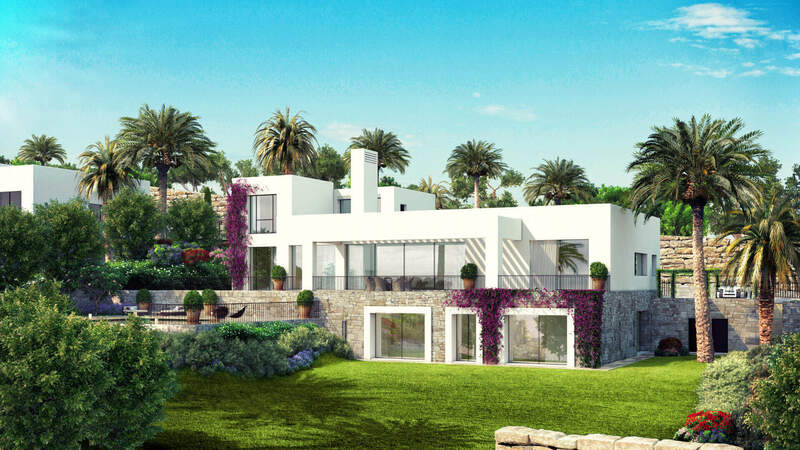 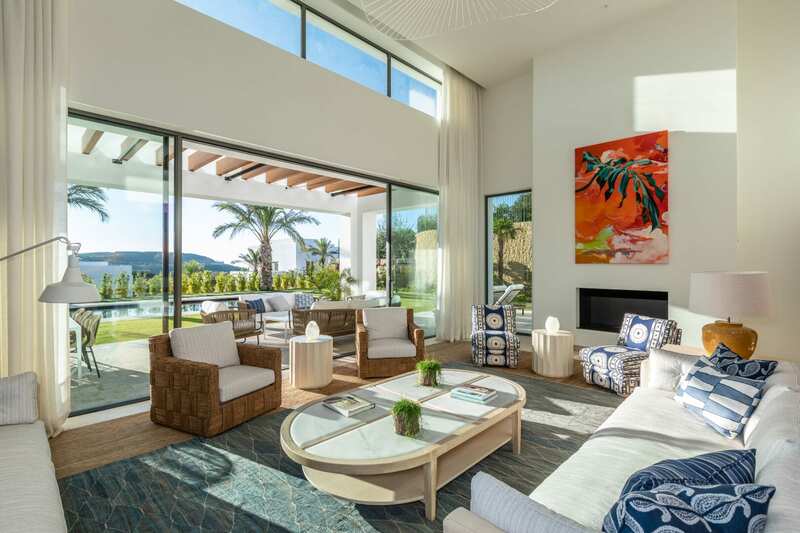 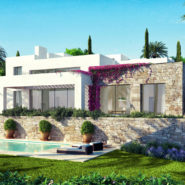 GREEN 10 is a 16-villa development nestled between the greens 9 and 10 of The Finca Cortesin golf course. 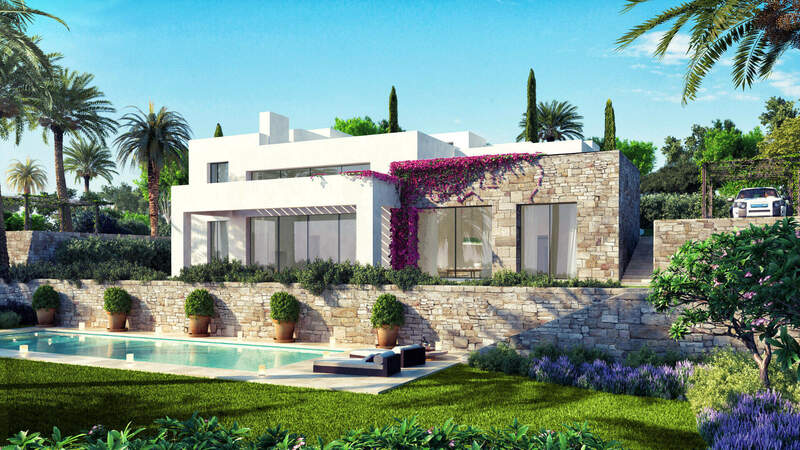 Contemporary-design villas, on plots of up to 2,200 sqm, and featuring internal floor areas of between 605 sqm and 724 sqm, all with spectacular views. 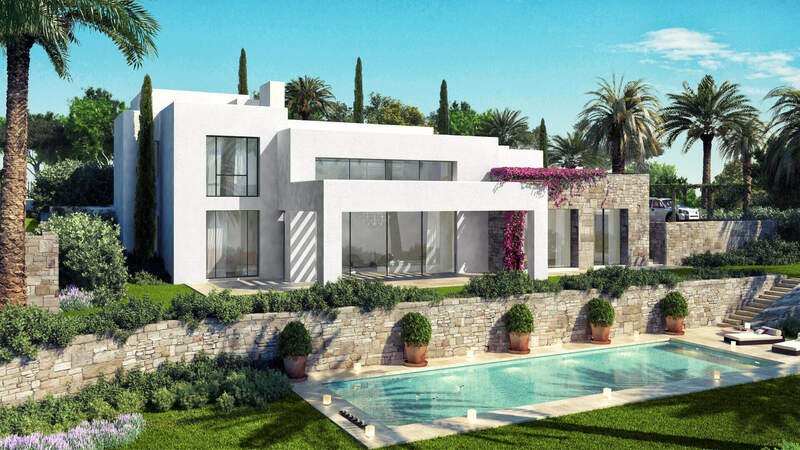 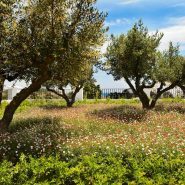 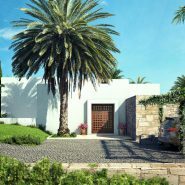 Given that the land the plots are located on is fairly steep, we have opted for homes that adapt to the lie of the land, but at the same time are comfortable to live in and have spectacular sweeping views over the golf course, the Sierra Bermeja mountain and some even to the Mediterranean Sea. 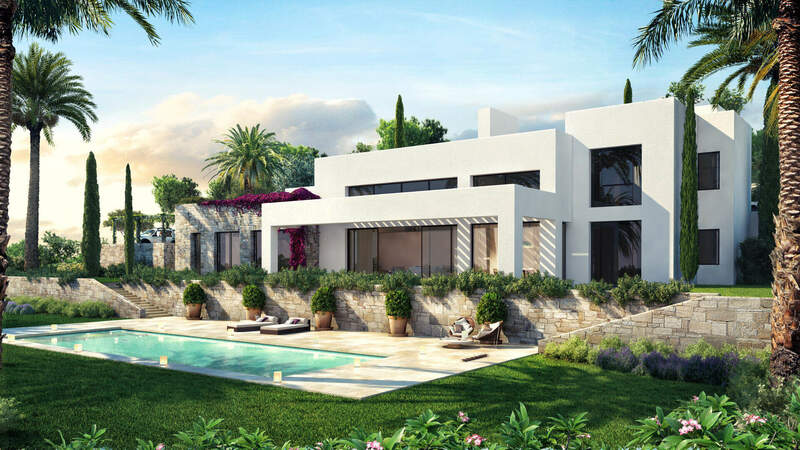 Within GREEN 10 there are 3 different models to choose from: A and B types, which are very similar in concept, but come in different sizes, both in terms of dimensions and the number of bedrooms. 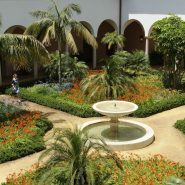 Type C offers different features to the others. 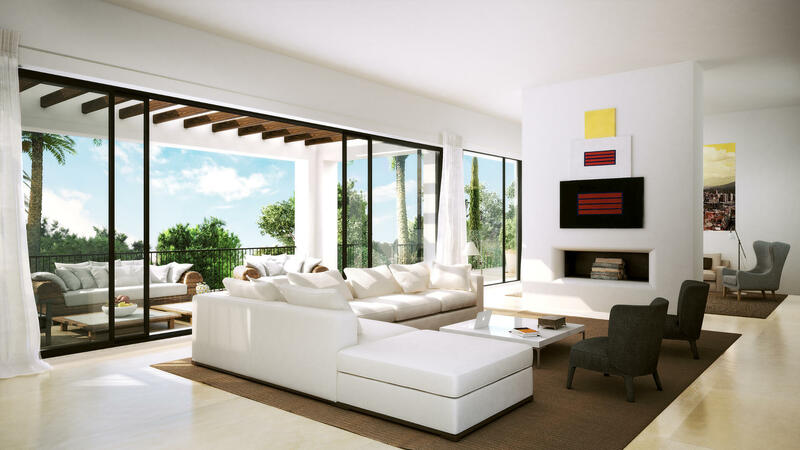 The villas boast 4, 5 and 6 en-suite bedrooms, living rooms of up to 90 sqm, with 5.5m high ceilings. 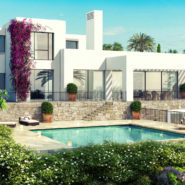 Type C villas are all sold, please contact us if we have a villa type C for resale. 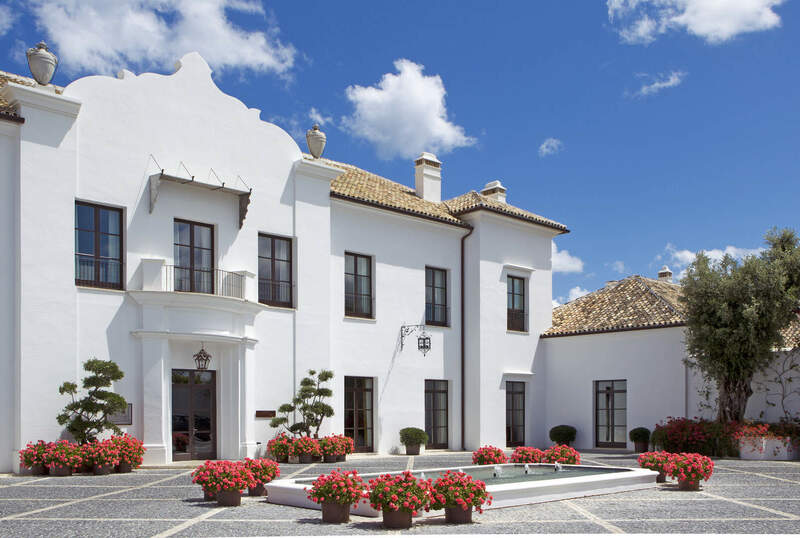 The architecture is reminiscent of the “La Reserva de Cortesin”. 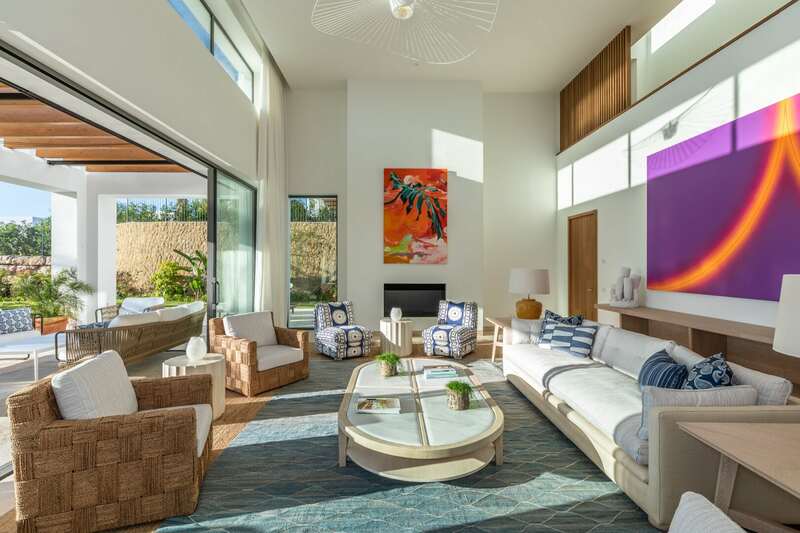 However, the ‘look’ has been updated with expansive windows, above all in the living rooms, which seamlessly connect the indoors with the porch and garden spaces. 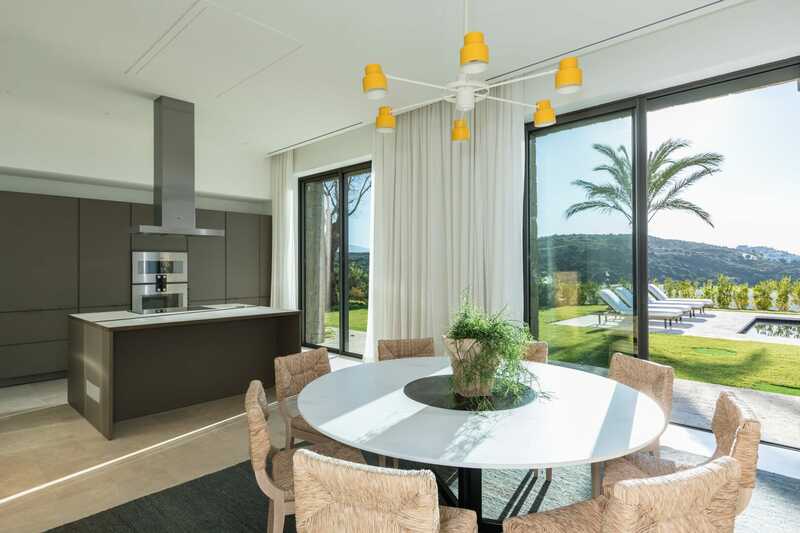 Materials include indoor and outdoor travertine marble flooring, natural oak wood on internal joinery and grey lacquered aluminium windows. 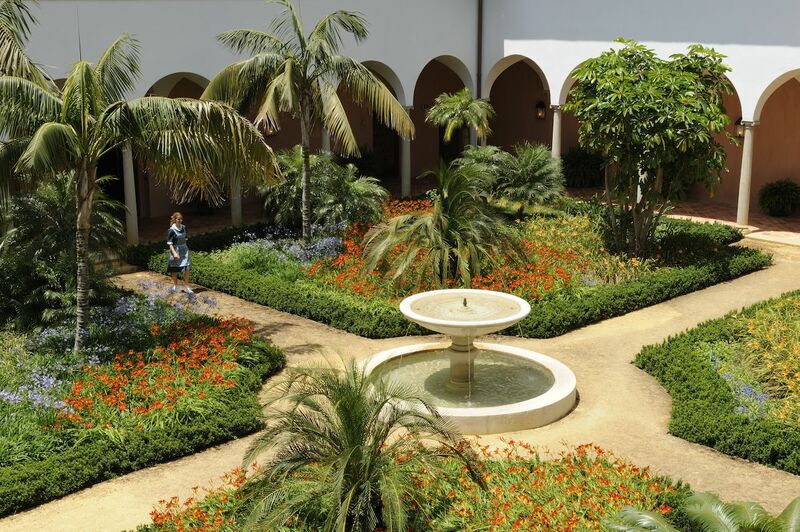 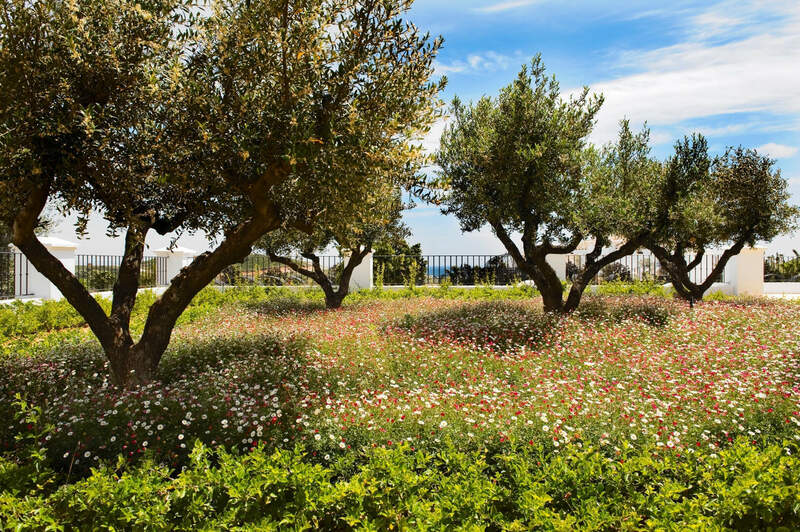 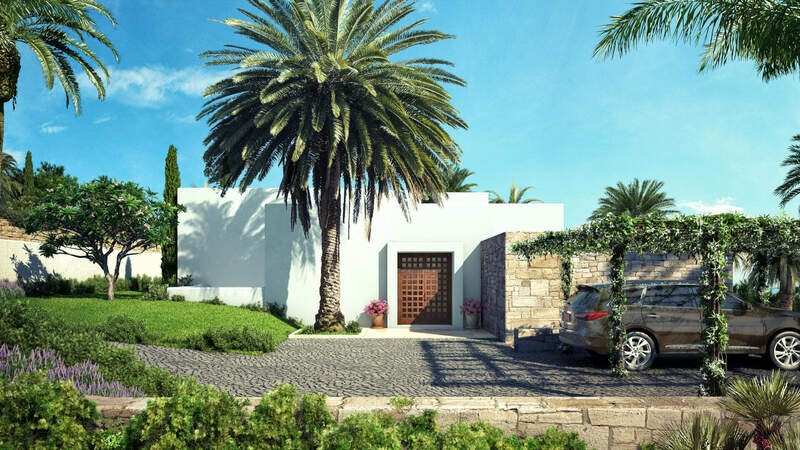 Following in the footsteps of Finca Cortesin, the driveway will be comprised of Portuguese cobblestones and the landscaped gardens will provide a mix of Mediterranean species, as well as sub-tropical plants that adapt well to the Costa del Sol climate. 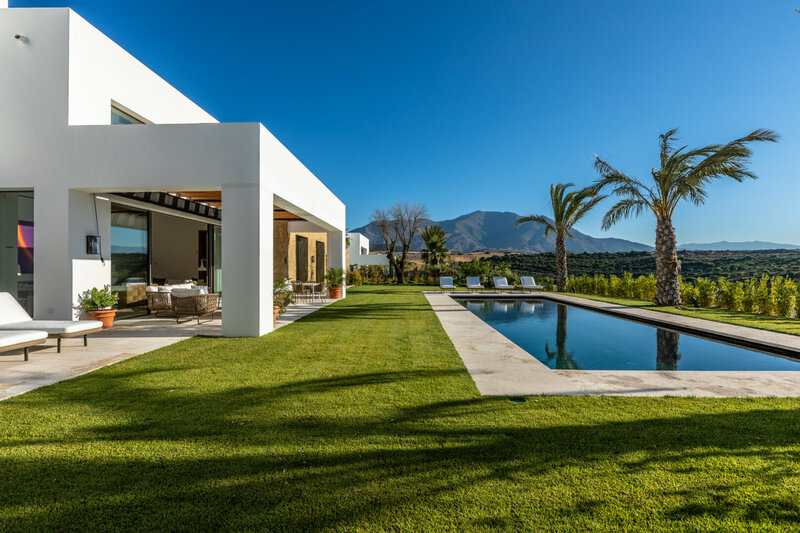 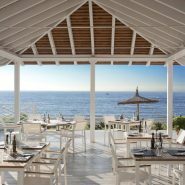 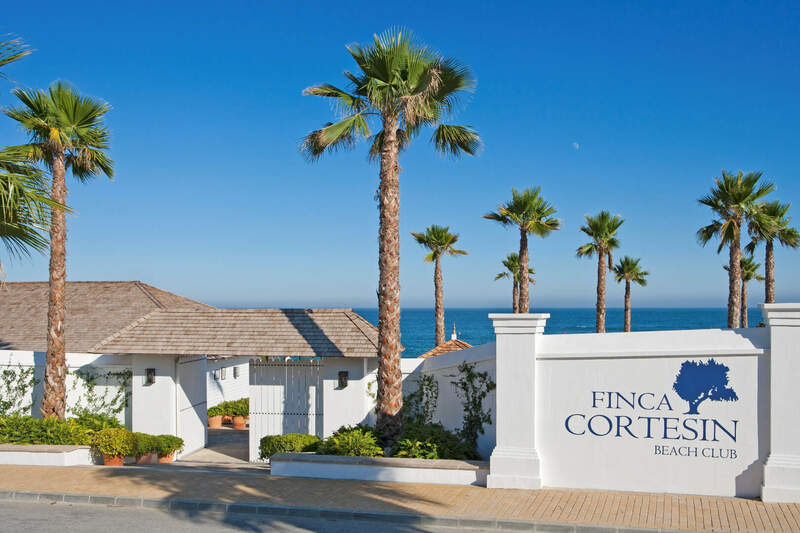 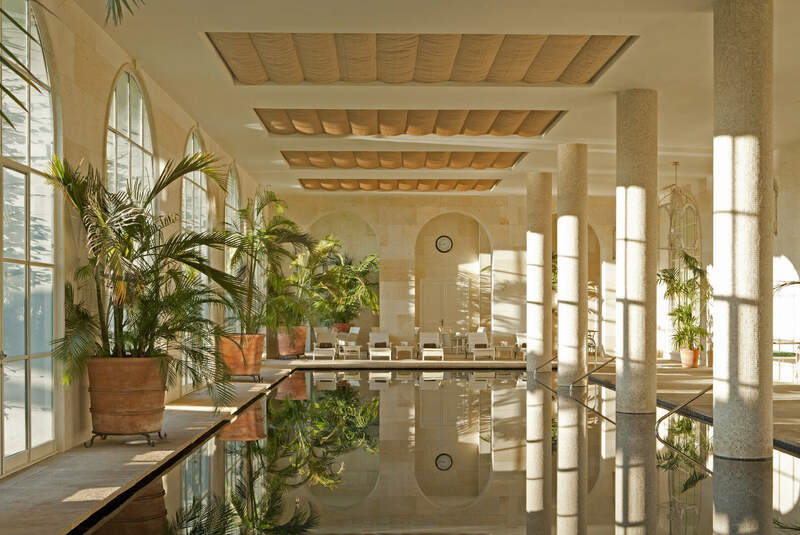 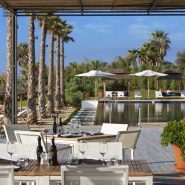 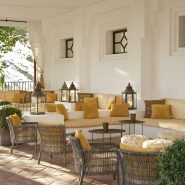 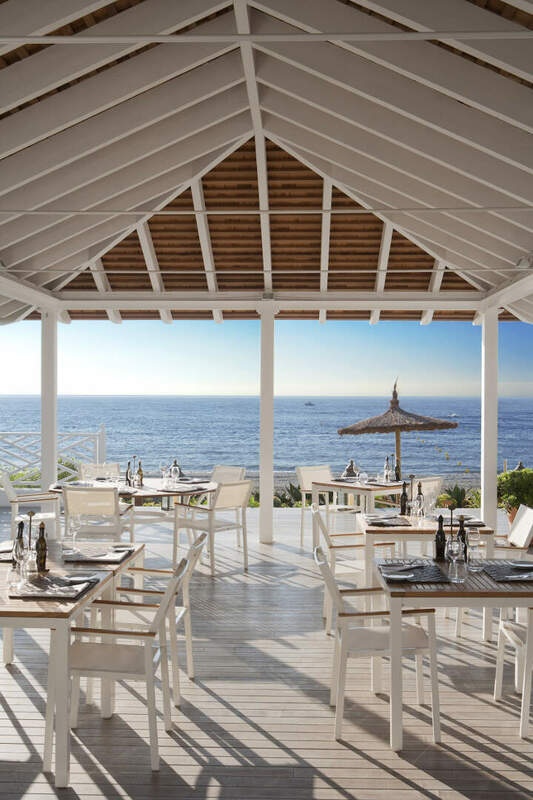 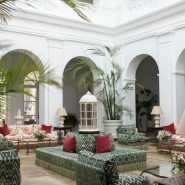 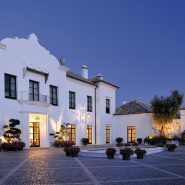 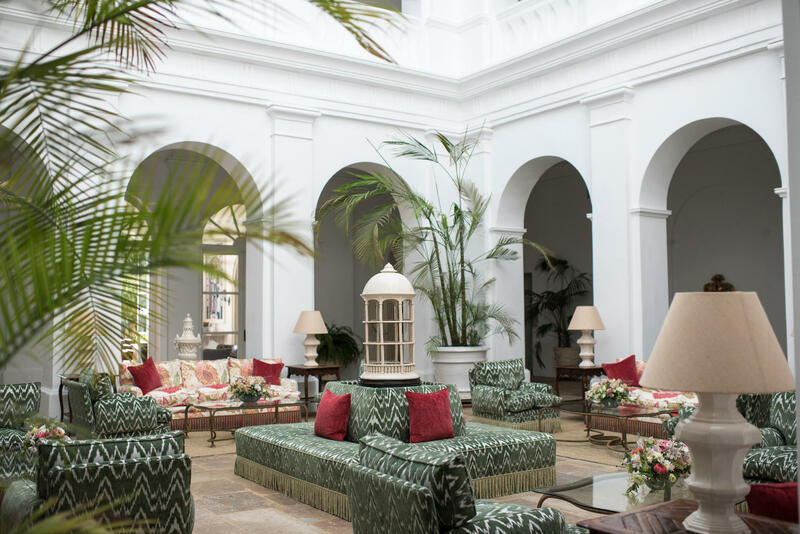 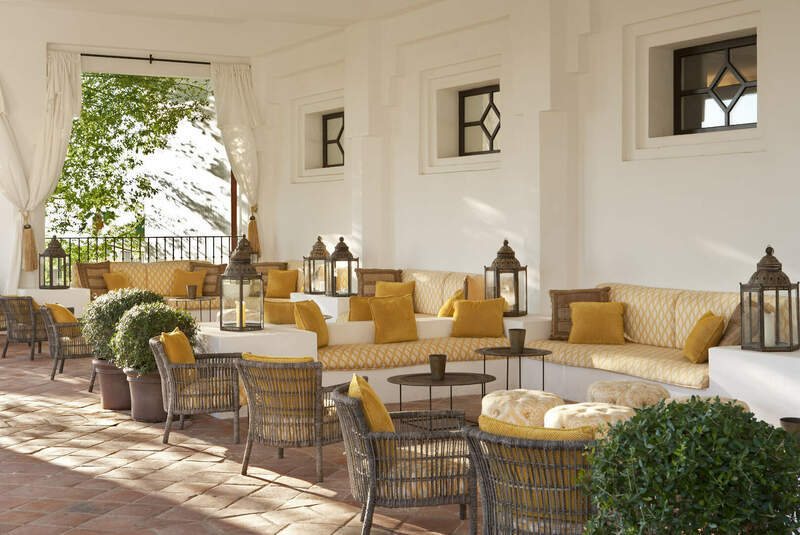 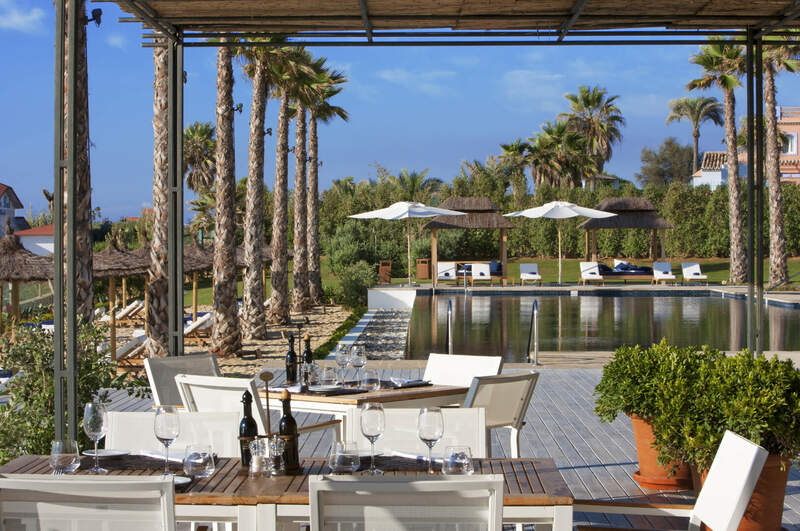 The privileged location of Finca Cortesin, surrounded by nature and just 0.9 miles from the beach, will enable you to get to the city of Marbella, capital of the Costa del Sol, in just few minutes as well as Puerto Banús and Sotogrande, two of the most important marinas in the Mediterranean. 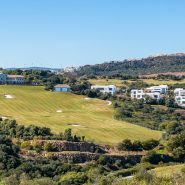 To make things even easier you can reach Malaga international airport in 50 minutes by motorway and Gibraltar airport in 15 minutes. 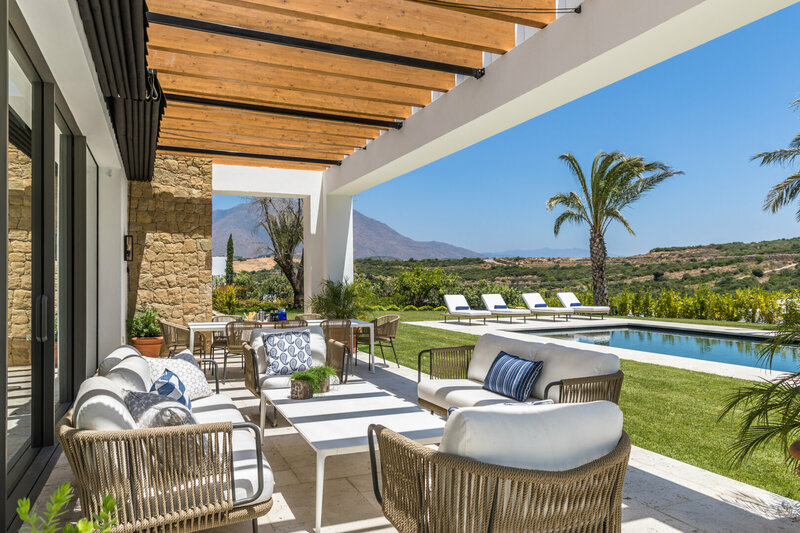 Owning a villa within the private community of Finca Cortesin combines the experience of a home with the luxury of having the hotel’s outstanding services and restaurants at your fingertips. 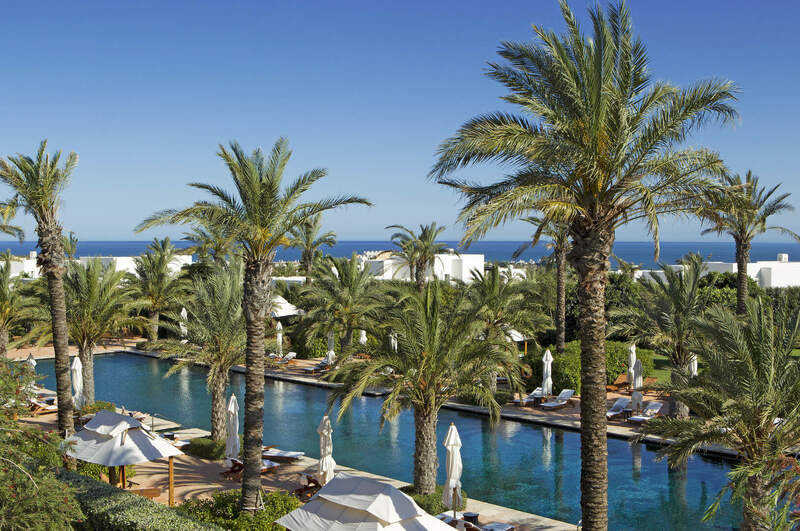 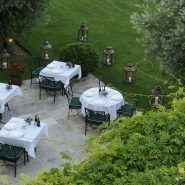 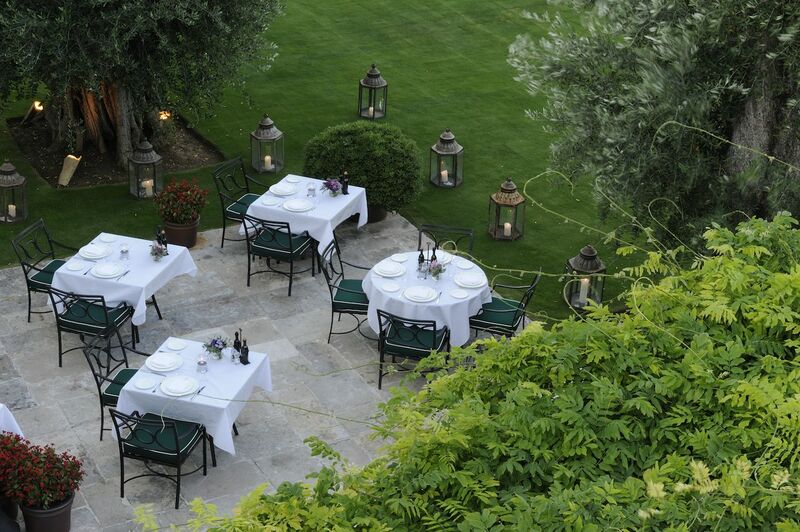 Owners can benefit from our exceptional 24h Concierge Service. 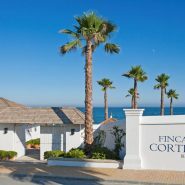 As an added bonus, we offer you the possibility of having the property rented out and managed on your behalf through the hotel. 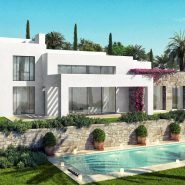 Please contact us for more information or a visit onsite of these beautiful contemporary style new build villas for sale.